Logically speaking there is no such thing as photographic language. Language requires syntax and punctuation marks, photographs float free. Melanie Letore defies logic by using her photographs to construct a sentence on a shelf in a gallery. 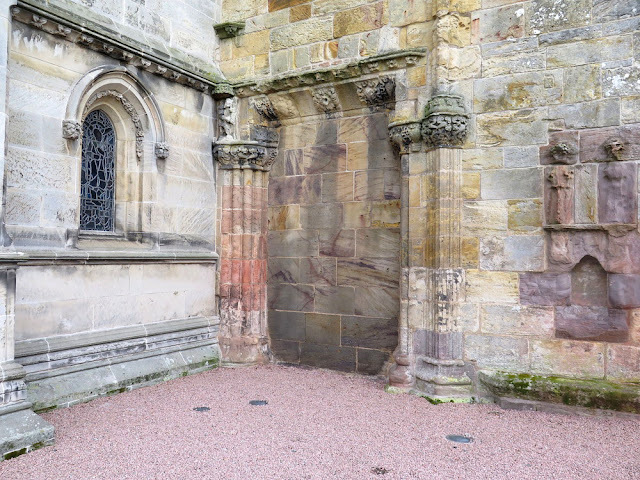 The contrariness begins with the first photograph, an exterior view of quixotic Rosslyn Chapel showing a stone wall entrance, a portal to nowhere. In all, twenty two photographs are arranged in eight phrases separated by small spaces like pauses for breath in an utterance. A brief text is sandwiched between two plates of glass and finally there is a beautifully photographic full stop, a hand filled with light. The written text consists of seven sentences, each one using the word ‘story’. 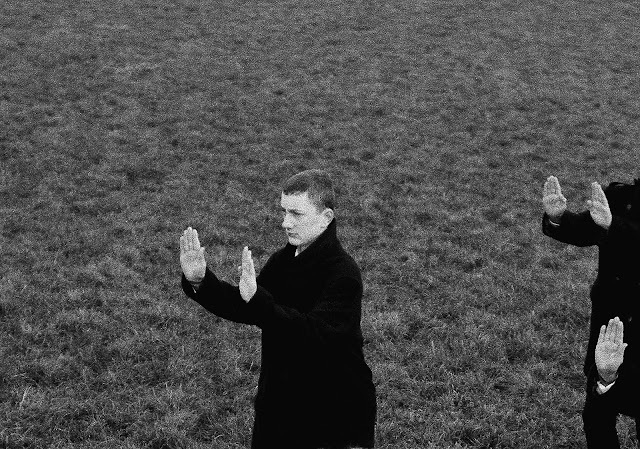 So many stories are to be wrung from Letore’s concise photographic sentence. Gemma Dagger has visions that cannot be expressed in words. In her photographic practice she stages scenes that approach those visions and attempt to give them tangible form. A Thin Place is the title of her latest project but that arrived only after she had two images already inside her head: great stones in the landscape and a figure carrying a saw-horse for some undefined ritual purpose. Thin Places are a Celtic concept of special places where the distance between heaven and earth collapses. Upon discovering this during research for her project, the title was set and fragments of thinking began to fuse together in Dagger’s mind. Social architecture is the conscious design of an environment that encourages a desired range of social behaviors leading towards some goal or set of goals. 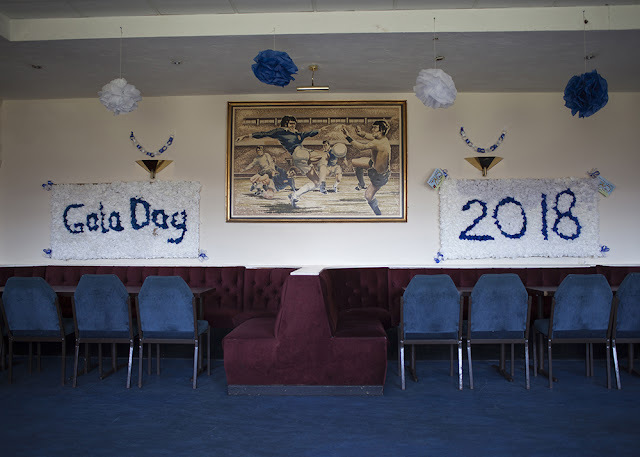 Alishia Farnan’s practice involves an accumulation of photographs of the interior spaces of social architecture: doctor’s waiting rooms, hospitals, public bathrooms and social clubs. The photographs are made steadily over time and organised retrospectively into meaningful groupings. The social clubs however have emerged as a special category. Farnan began this series in 2012 and now purposefully pursues it as her only clearly defined project, Social State.